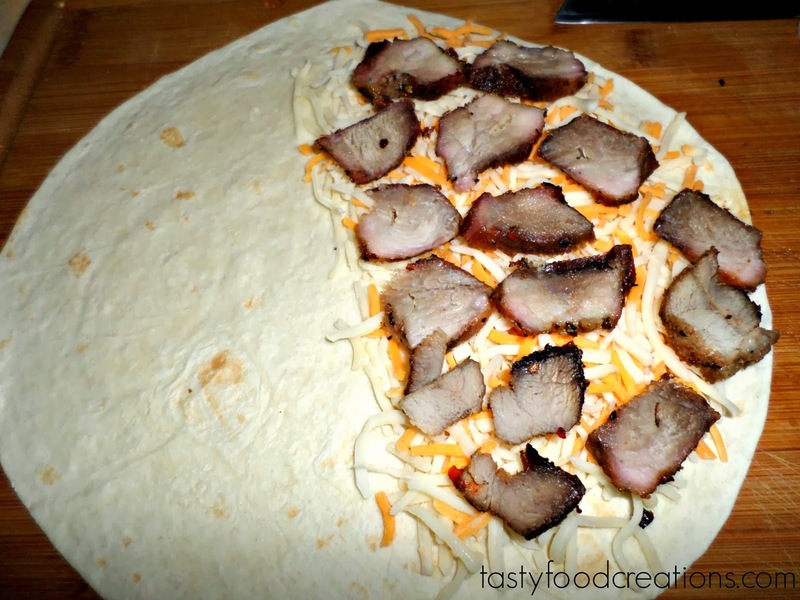 Slice meat into smaller pieces. Preheat meat in microwave or skillet. 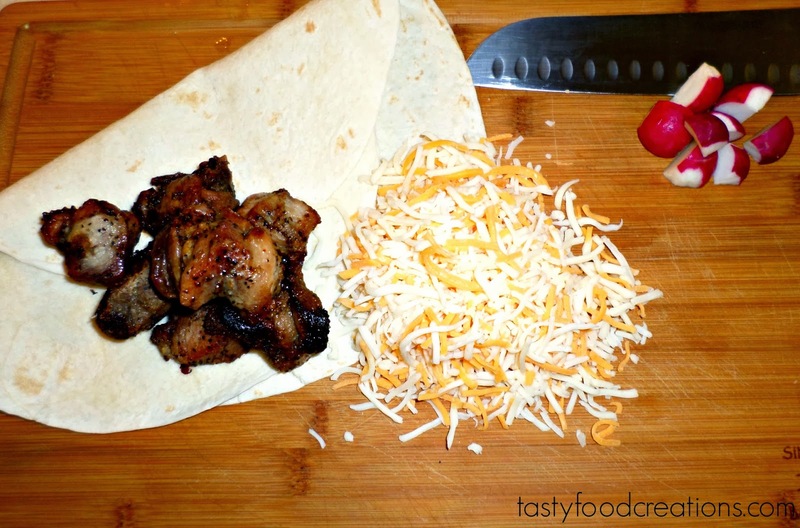 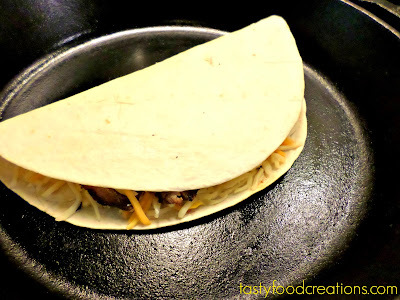 Sprinkle cheese on one side of tortilla, top with meat. 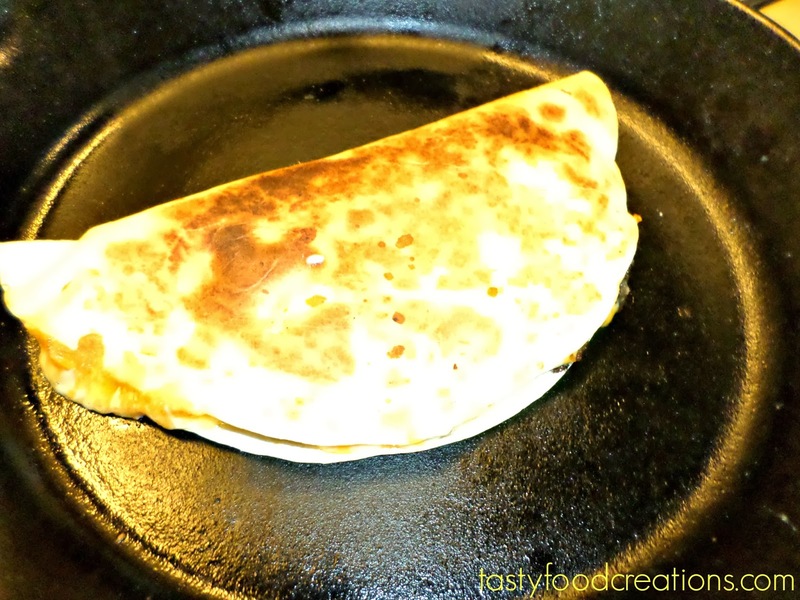 Fold tortilla in half and place on skillet. Cook on both sides until cheese melts and tortilla golden brown. 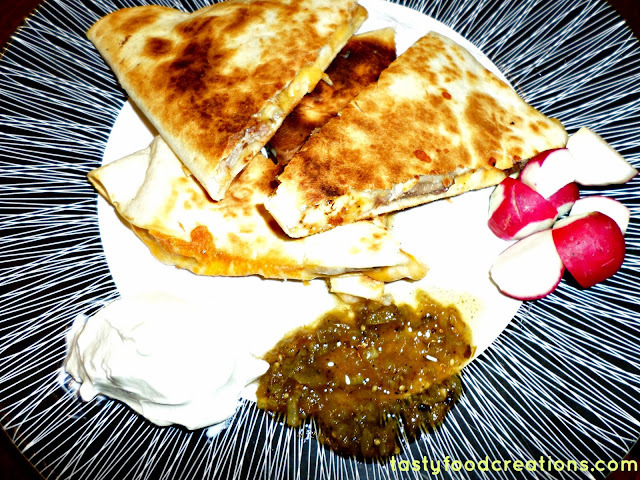 Tip: this quesadilla can also be cooked in oven.